ADHD (Attention Deficit Hyperactivity Disorder) is one of the most common “conditions” faced by the youth today. Approximately 11% of children in the United States aged 4-17, which is about 6.4 million kids, have been diagnosed with ADHD, many of which are being given drugs to cope with it. The controversy surrounding this practice, however, focuses on the fact that ADHD is not actually a medical condition. Rather, it is described as a “behavioral disorder” that is defined by over-activity, not being able to pay attention and impulsiveness. Doctors or psychologists often diagnose children with ADHD if they feel the child’s behavior matches certain criteria. There is no specific test currently being used by medical professionals to diagnose ADHD, rather it is up to the doctor’s discretion to decide whether or not they have it. These children are then prescribed ADHD medication, such as Ritalin and Adderall, to help them cope with their “disorder”. Many people view this over-prescription of medication as a large problem in our society today. Not only do many individuals find it unnecessary, but it is also proven that these medications can have serious short-term and long-term effects on an individuals health. This is why many parents are wary to put their children on these drugs, and rightly so. Although these drugs have been linked to many health benefits, there are some cases where they can help children suffering from severe psychological and behavioral problems. If you have a child who has been diagnosed with ADHD and are considering putting them on these drugs, this is how you can tell if they really need them. Do They Really Have ADHD? Since ADHD is not a definitive medical condition, but rather a behavioral issue, its symptoms are commonly mistaken for other underlying conditions. ADHD-like symptoms can be caused by a range of medical disorders, including depression, anxiety, obsessive compulsive disorder and other mental health conditions. You should always make sure that your child is not suffering from any of these conditions so that they are not misdiagnosed and mistreated with the application of ADHD medications. Is ADHD Getting In The Way Of Their Life? If it is confirmed that your child does indeed have ADHD and is not suffering from any other underlying conditions, serious intervention should be held off until you determine the severity of their behavioral disorder. Ask yourself, is their ADHD-like behavior having a negative impact on their social life or education? Does it affect their ability to interact with others on a day-to-day basis, or does it result in physical harm to themselves? If the answer is “no” to all of those questions, it is likely that your child is not in dire need of ADHD medication. Do They Suffer From Any Physical Health Conditions? Since ADHD medication consists of a variety of amphetamines and other stimulants, many of them can have a serious impact on a child’s health if they have pre-existing conditions. This is especially true if they are at risk of any heart related conditions. This is because long-term use of ADHD medication has been linked to a variety of heart related health problems, including high blood pressure and an irregularly fast heart beat. 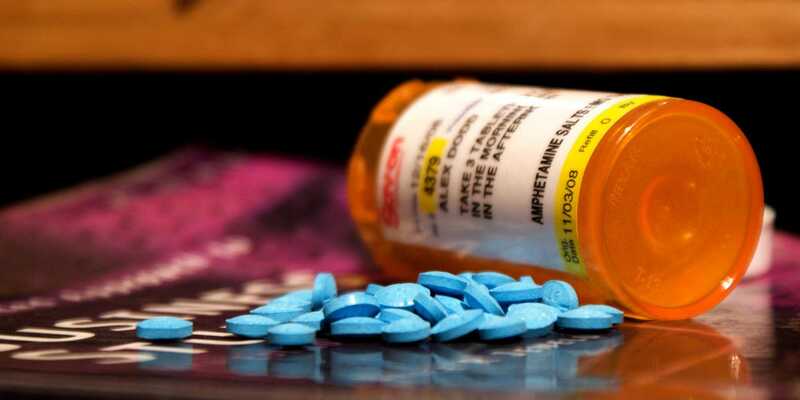 Even ADHD medications that aren’t stimulants, such as Strattera, have been linked to similar health problems, including irregular heartbeat and seizures. In conclusion, although ADHD medication may be necessary for certain individuals, it is always important to know all of the facts and weigh the risk/reward before allowing your child to take them. Please like and share this article so that it can reach other parents wondering whether or not they should put their child on these drugs.